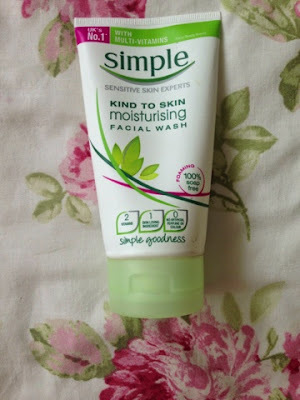 The first product is the Simple kind to skin moisturising face wash. As I'd been using the same face wash for a while I wanted to test out a new one so decided to pick up this one from Simple. I always hear amazing reviews on Simple products because of how natural they are and the inexpensive price tag. I wasn't disappointed with this face wash at all. 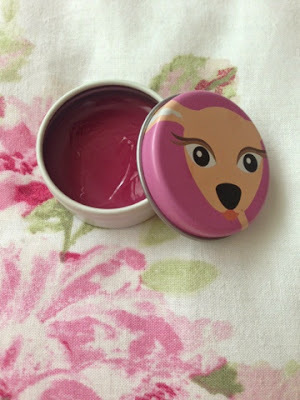 When I first used it my skin felt instantly fresh and clean! It's such a light face wash but feels like it's doing the job and leaves my skin feeling silky soft. The smell is very natural and not over perfumed, meaning you know you're not putting loads of chemicals onto the skin. I honestly love this and would definitely recommend it to someone whose looking for a new face wash! 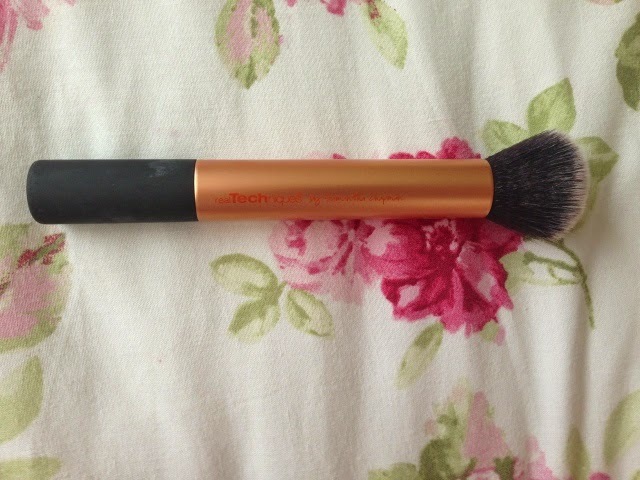 The next product is the real techniques buffing brush. I've had this brush for a while now and it's one of my favourite brushes! 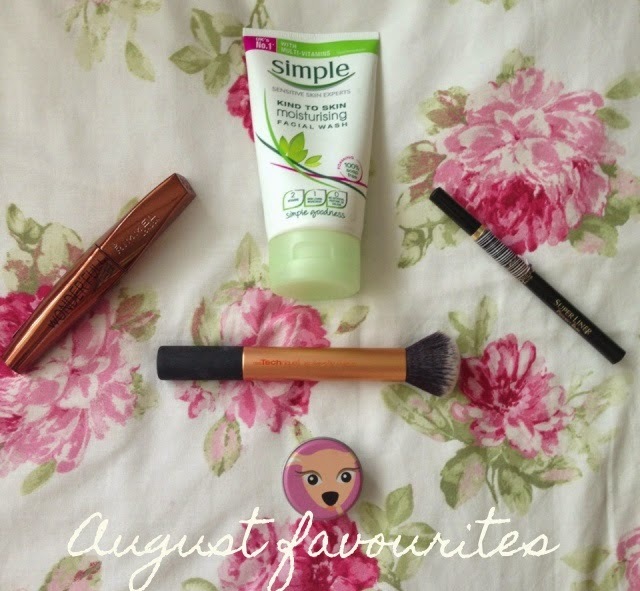 Throughout August as there was some quite hot days I've been using BB cream a lot due to its SPF element which helps protect my skin and as it gives a lovely summer glow. As I've been wearing this, I've found this brush has been amazing to work the BB cream into the skin to achieve a natural look. Also on nights out when I wear foundation, it's lovely to help blend it in! I just love the finish it helps the face products give. It's quite a dense brush which I think helps build up the coverage because more product can sit on the brush and therefore give fuller coverage if that's what you'd prefer. However I like light coverage looks and as the brush blends products really easily, I find its versatile for all types of looks! The next product is out of set of different lip balms I got from Boots. This month out of the set I've especially been loving this one to apply before bed as it has the loveliest berry smell and is super moisturising! Another favourite of mine this month has been L'oreal's super liner in intense black. I picked this up at the end of June which you can see in my birthday haul here. I love this liner, the super thin nib means you are able to create a thin line if you want a bit of definition yet you can still build it up to a full on winged liner look. The thin nib also allows you to create a wing much easier because you can draw the outline and fill it in. 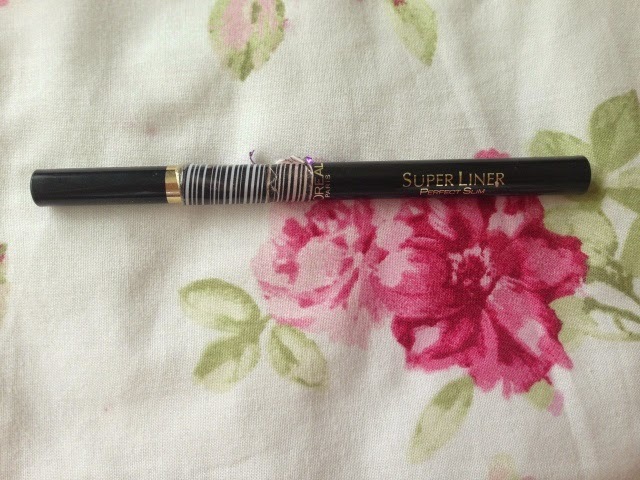 The liner keeps true to its name as its completely black and does stay put on the eye for a good amount of time! I'm definitely going to pick it up again! 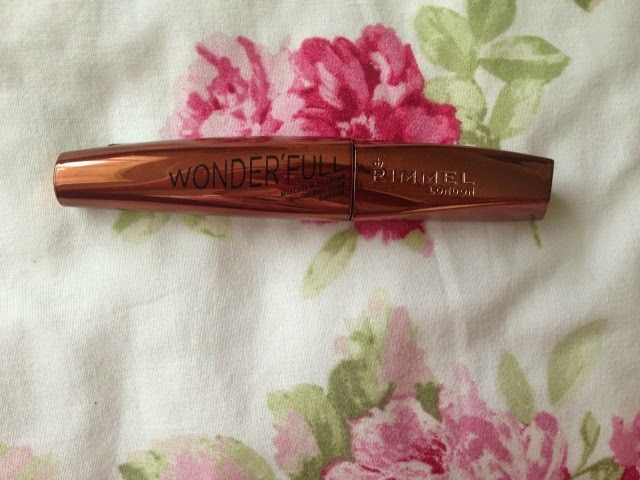 The last product is the 'Wonder'full' mascara by Rimmel. This mascara is quite new out and I picked it up at the beginning of August to see what it's like. I absolutely love it! At first I wasn't too sure but after using it for a couple of days and getting used to the wand I adore it! The mascara is very light weight on the lashes so when it's on it doesn't feel too heavy. It really gives my lashes length, curl and volume which is usually quite a difficult task as I have really annoying lashes that seem to never curl. However this product has really made them look amazing! The mascara also contains argan oil, allowing the mascara to care for the lashes as well as them looking good! I cannot rave about this enough, my best friend even complimented my lashes yesterday when I was wearing this! If you're looking for a new mascara I'd give this one a whirl to see how you like it because its worked wonders for me. I used to use that face wash, now I use the refreshing one instead. Simple is such a brilliant affordable skincare brand. Simple moisturising facial wash is fantastic at cleansing the skin, and I love Real techniques brushes. Just to let you know I'm having a little product giveaway over on my blog (some Moo Goo moisturiser...Australian brand), if you are interested. The lip balm is so cute! 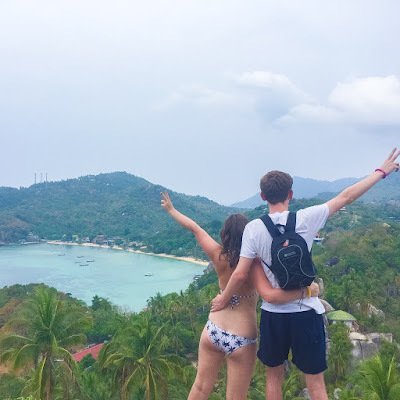 Great favourites.